The male Zebra Danio was relentless, chasing the female to exhaustion. She tried to escape him and went down below the grid that I had placed in the tank. The male followed her under there and I thought, Oh heck, these Zebras have outsmarted me and are feasting on their eggs. 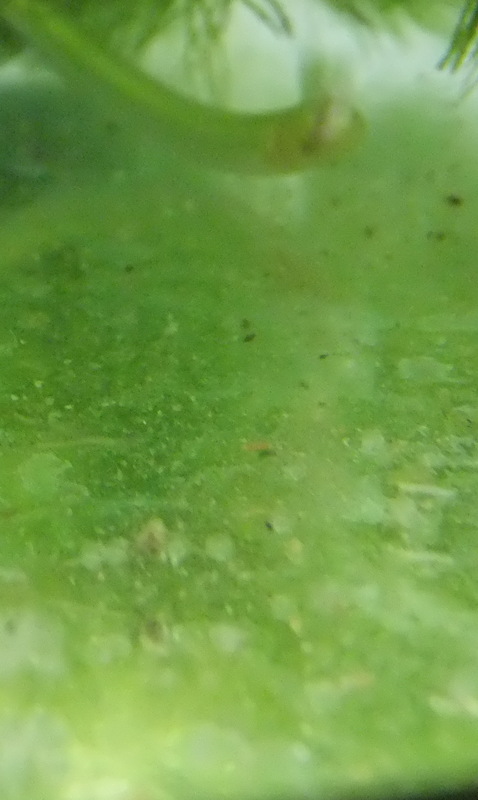 I grabbed another handful of Hornwort and dropped it in the tank, hoping to save some eggs which I had not actually seen at that point. About 11am yesterday morning I removed both fish (I had to remove the grid so I could catch them) into a small community tank. They did spawn. There are eggs. 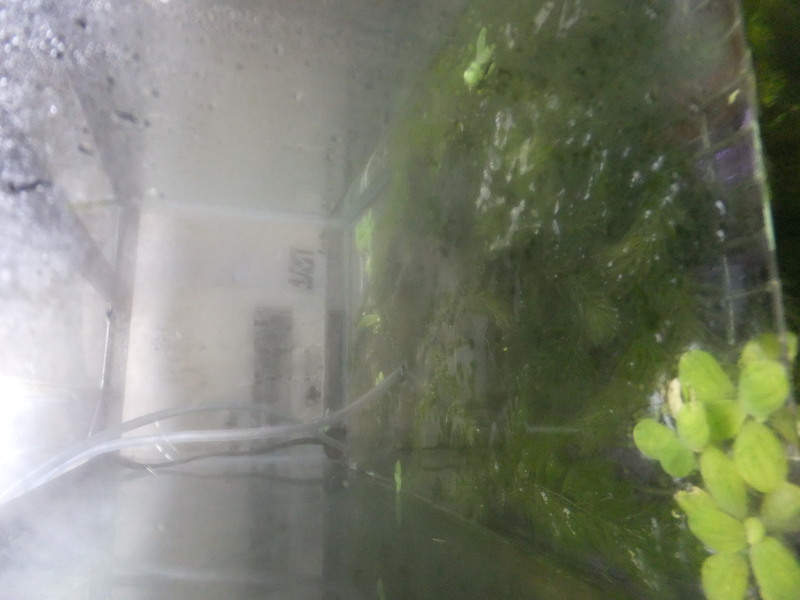 With all that Hornwort in there the water is not circulating too well, and the end of the tank that is furthest from the heater felt cool, so I have dropped in an additional airline right under the heater. Now it is just wait and see. Are they fertile? How many? Small clear eggs. Compare to the size of the airline. VERY tiny. Plus all the crud that fell out of the plants makes them difficult to distinguish.